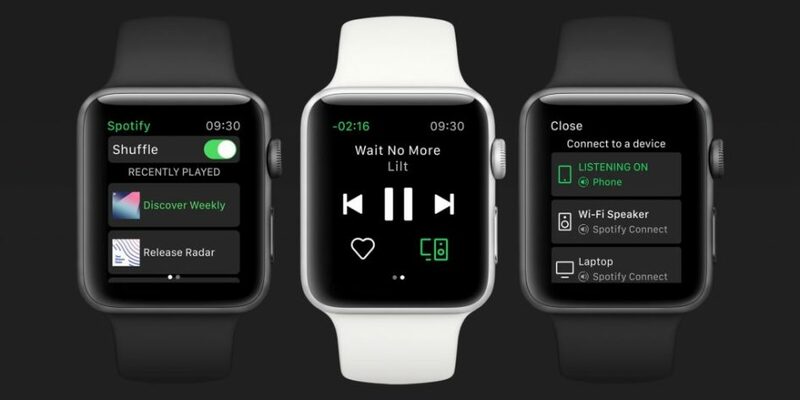 Like the Apple Music app, Spotify’s will allow users to control which song they are listening to and can change it from their Apple Watch. It also gives off the idea where if one were to throw a party, have their iPhone be playing the music on some form of speakers and that it allows you the user to change the song from your Apple Watch even if you are away from your iPhone. This app is available in the newest Spotify for iOS app update, which is a free app in the iOS and watchOS App Store. According to TechCrunch, Spotify has said that the app may not be available to all users today, but that it should be available to them over the coming weeks.